You can find instructions for using the VLSC by clicking Help in the VLSC menu bar and then clicking the name of the FAQ that relates to your question. VLSC Help is also available if you're not signed in. 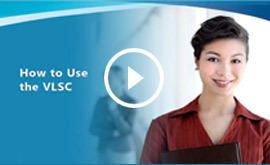 Microsoft also offers a series of videos on how to use the VLSC, covering account registration, user management, benefit activation, and more. Make sure to use Internet Explorer to watch the videos. Each donation request is assigned a license number and an authorization number (also called an agreement number) by Microsoft. These numbers are used to identify your request and might be needed to perform certain actions on the VLSC. It is useful to have these numbers available when you contact your local Microsoft VLSC support center. Choose Licenses > Relationship Summary. This page shows information about all the Volume Licensing Agreements and Open Licenses that are associated with your account. Your license number for each request is listed under Licensing ID. Your authorization number for each request is listed under Parent Program on the line below the word OPEN (indicating these licenses are from the Open License program). If you are unable to sign into the VLSC to find your license and authorization numbers, first check to see if anyone else at your organization has access. If not, contact TechSoup Customer Service for help. They can provide you with the name of the administrative user that requested the donation and give you the authorization and license codes. Once you get this information, contact your local VLSC support center using the instructions below and ask for help updating your administrative users. If you have a specific question that the FAQs don't answer, you can contact your local Microsoft VLSC support center. TechSoup usually cannot resolve your VLSC issues, so please try contacting Microsoft before asking for help from TechSoup. When you talk to the VLSC support center representative, keep in mind that the Microsoft donation program through TechSoup is different from the Open License program available through other channels. The information below should help. If you are asked to call your reseller to have them resolve a problem, explain that you did not receive the products through a reseller. TechSoup provides a service to Microsoft by administering one of their donation programs. Although the Open License agreement you sign when you register at the VLSC might imply it, the products did not come through the Charity Open License Program. The TechSoup program is a donation from Microsoft, and the fees paid to TechSoup pay TechSoup's costs for administering the program. The Charity Open License Program is a separate program whereby products are made available at a reduced cost through authorized resellers. If you are asked for your agreement number, give them the authorization number from the VLSC. See instructions in the above section, "How to Find Your License and Authorization Numbers." If you need specific information available only from TechSoup, contact TechSoup Customer Service.